Hi everyone, Jen here today to host the blog for you. I am sharing a Christmas themed layout that does not contain the traditional Christmas colors! 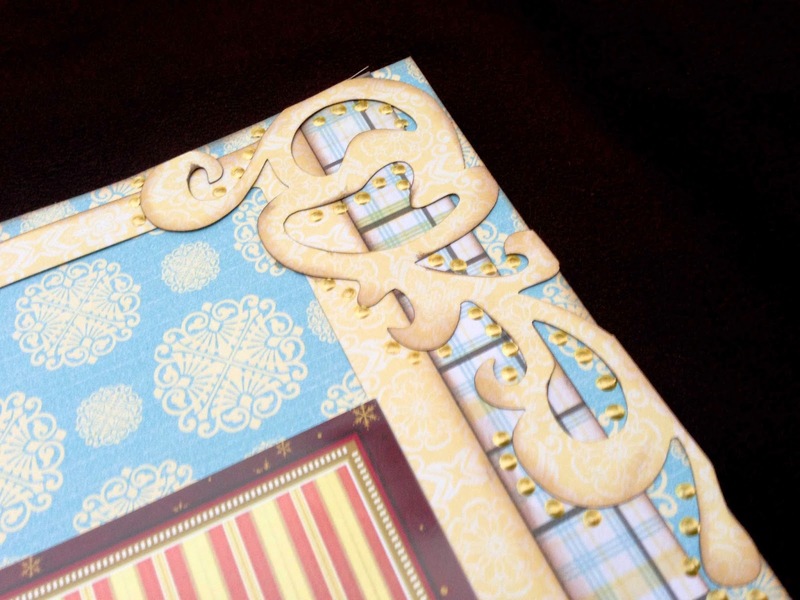 I created this layout using papers from the Dream Big paper line which is a mixture of pretty blues and yellows. I like how the yellow in the photo matches the layout, but the rest of the colors really make the photo pop! I inked the edges of my papers with Java PowderPuff Chalking Ink. For the title, I layered a vellum Quote onto the plaid paper and placed the strip through a white frame. I then added details around the yellow flourishes with gold dots of paint. Great use of non-traditional papers and colors!